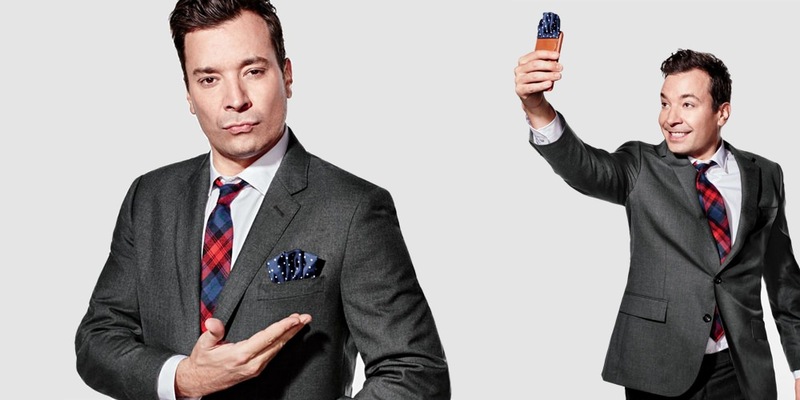 Jimmy Fallon Upgrades the iPhone - Pocket Dial | Valet. Bringing a whole new meaning to the term "pocket dial." Comedian, TV host and all-around-good guy, Jimmy Fallon, can now add inventor to his long list of accomplishments. Last night, he debuted an innovation that combines two products that most of use separately—an iPhone case and a pocket square. Cleverly dubbed the "pocket dial," it's a leather case (with a handy card sleeve) that's topped with an adjustable and interchangeable pocket square fold. "I kept seeing people around the office with their phones sticking out of their blazer pockets," Fallon said. 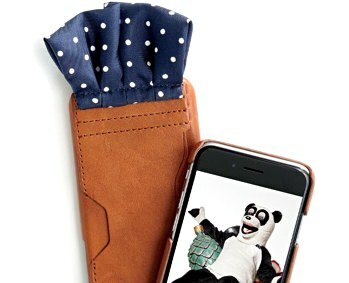 "And I thought someone should make something that would protect your phone, but look dapper." So like any aspiring inventor with Shark Tank fantasies, he whipped out a glue gun and built a prototype. He then called up J.Crew and pitched the idea. They bit ... now it's really for sale. And we've got to say, it seems like a classy way to carry your phone, if you're not already stashing your phone in your jacket's interior pocket. Plus, it makes a fun gag for the coming holiday party season. All of the net proceeds benefit the David Sheldrick Wildlife Trust, a Kenya-based charity protecting Africa's elephants from poaching and extinction. The app store is a jungle. We've cleared a path for you.